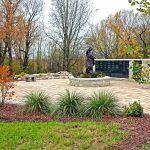 Eickhof’s columbarium fabrication process allows for endless options for custom columbaria. 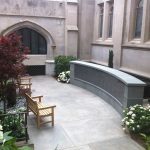 Whether for interior or exterior spaces, a custom-built columbarium can be designed to relate to the existing architecture of your space, by utilizing appropriate materials, shapes, and styles. 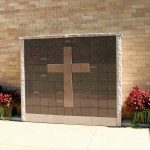 A custom columbarium can either be mounted against an existing wall or be a free-standing structure. 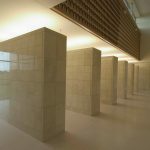 An Eickhof columbarium is self-supporting and requires no additional structural support. 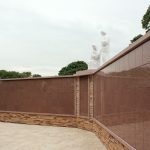 Free-standing columbaria can be single or double sided as well as straight or curved walled. Eickhof Columbaria’s first columbarium was an interior wall installation in Eickhof’s home church, First Presbyterian Church, in Crookston, Minnesota. 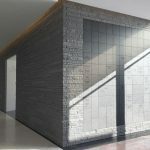 The interior space was chosen because of its convenience to congregation members, especially in the cold Minnesota winters. 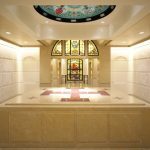 The columbarium has filled an important need to congregation members who have lost family. It has provided an opportunity for congregation members to discuss and plan for their own funerals and burial wishes. 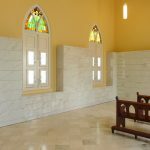 The columbarium provides an alternative for families who wish to memorialize loved ones outside the traditional cemetery. 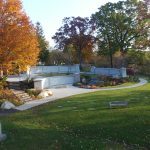 Eickhof Columbaria has been involved in the design, fabrication, and installation of a variety of exterior custom-built columbaria. Some of these designs have been installed in more traditional locations, others in less traditional spaces. 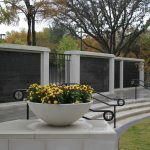 Cemeteries were the first major market that Eickhof Columbaria approached with its concealed hardware system and columbarium product. 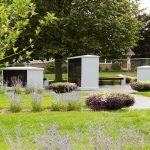 With the increase in cremation, along with cemetery land area becoming more scarce, forward thinking cemeteries have made plans for exterior custom-built columbaria. With cremation, the market for non-traditional burial options has changed dramatically. At one time burial was the exclusive domain of cemeteries. 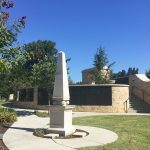 Now, with cremation as a burial option, Eickhof Columbaria has had requests for custom-built columbaria at United States military academies, retirement communities, institutions of higher learning, churches, and various other spaces. Below are a few examples of our custom projects. Click here to see more examples of our custom work.